In Part 1 of this two part series we analysed the reasons why people have lost their trust in the financial services sector. In this second part, we will review the ways in which financial services can build trust again and reengage their customers. In 2015, writing for the Daily Telegraph, Andrew Trotman reported that banks will have to “raise their game” to win back public trust. This was based on a comment that has been made by Dame Colette Bowe of the Banking Standards Review Council which is responsible for increasing standards in the financial sector. The Banking Standards Review Council was set up with a remit to help banks and building societies create strategies to increase their standards in their activities. There is much to be done and the Banking Standards Review Council will provide guidance and advice on how to go about improving the current situation. But what else can industry players do? In addition to looking at the trust issues plaguing the industry, the PWC report examined how the financial services could fix the problems that it has created. 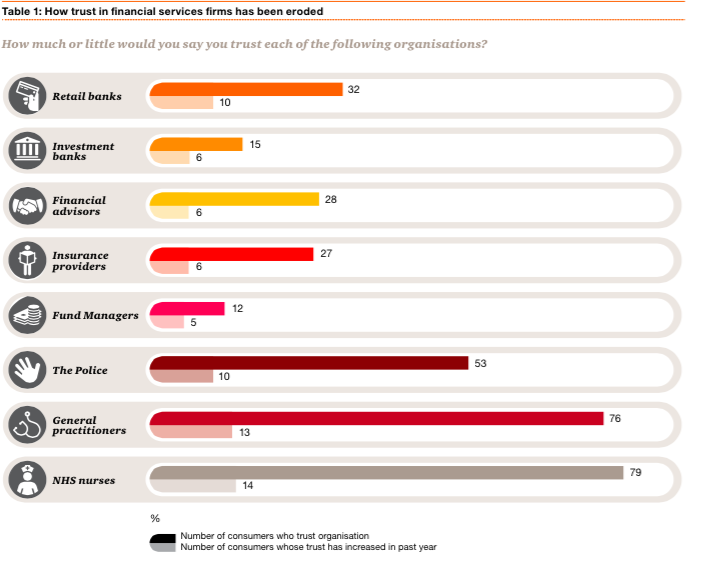 PWC specifically asked consumers which changes would make them more likely to regain their trust in financial services providers. A whopping 46% said that they wanted to see greater transparency on products and services. Meanwhile, 41% sought stricter rules of conduct for employees, 40% wanted changes to remuneration rules, and 37% thought that improved internal governance would change their feelings of low trust. One of the problems articulated by PWC is that providers have not been effective in showing the value that they offer. This has led people to believe that all that these companies are interested in is driving high short term profits. One of the examples provided is that of annually renewable insurance policies. On this, many people see their premiums go up for no apparent reason, and have to call the company to question why this has been done. Often they may have to move providers for this reason, as they find they can get better deals elsewhere. Practices like this do not help to build trust in the industry at all. PWC argues that people also need to be better educated in the products that they have. It surveyed people on this and found that the greatest areas of misunderstanding are with private pension schemes, life insurance and health insurance. This is where the financial services industry can work to really show the value it offers. Another interesting aspect of the PWC report was a look at utility versus added value. 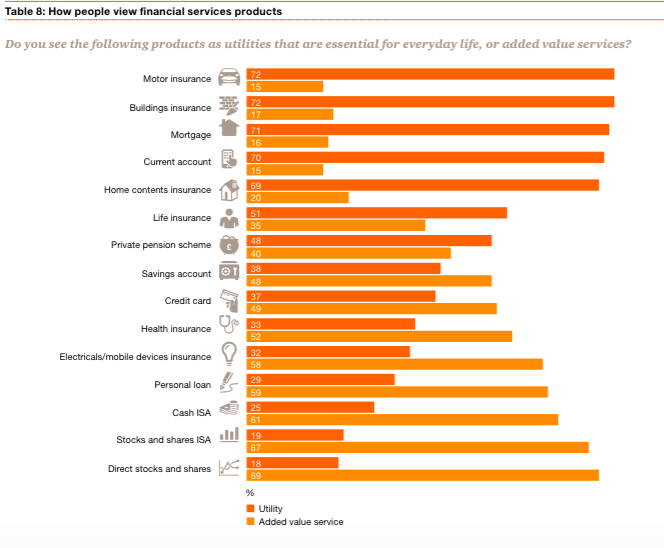 It was found that most people felt that motor insurance, buildings insurance, mortgages, current accounts and home contents insurance were essential for daily life, and few felt that these were value added services that they do not necessarily need. The situation changed when looking at life insurance, pension schemes, savings accounts, credit cards, and health insurance, with far fewer people seeing these as essential, and far more seeing them as added value services. For personal loans, cash ISA, stocks and shares ISA and direct stocks and shares, many more people saw these services as value add rather than essential to daily life. This should tell the financial sector how it can market services and educate customers better on them if it wants to win people’s trust back. Another interesting element of the services offered was a look at why people change financial providers. This additionally shows the financial sector what it needs to do to change. Based on aa question relating to changing current account services providers, 31% said they had done this due to the ease of the online banking service. Twenty six percent were looking for a better rate of interest, and 26% were also seeking improved customer service. Interestingly 14% said they did this due to the bank’s ethics. As can be seen there is much to be said for the financial services sector looking to compete on service rather than price alone, since a quarter of people want better service. 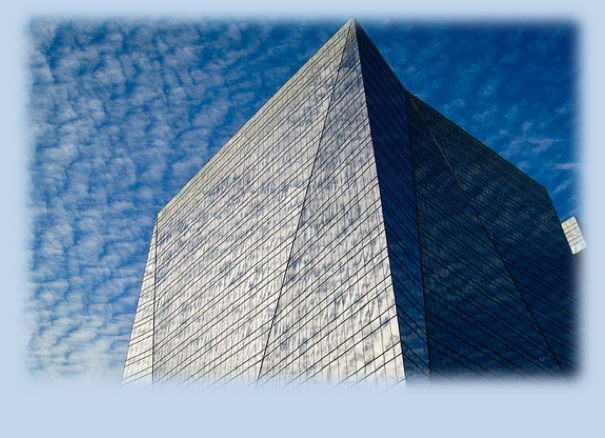 The situation is bleak for the financial services sector right now. However, with a focus on the right areas such as providing service and offering value, financial institutions can regain customer trust. Will they take the steps needed? It remains to be seen.